Is sulfide mining REALLY a gift? from River Alliance of Wisconsin on Vimeo. 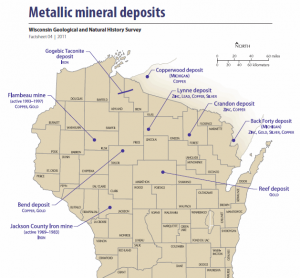 There are several known mineral deposits all across Wisconsin, including frac sands, iron, zinc, copper, gold, nickel and silver deposits. Many of these deposits are near rivers and lakes. The Wisconsin Legislature significantly altered the state’s mining laws in both 2017 and 2013. In a headlong rush to speed up the mining of low-grade iron ore (taconite) in northern Wisconsin, the Wisconsin Legislature rewrote the state’s metallic mining laws in 2013. In 2017 they repealed the successful “Prove it First” mining laws that required mining companies to show proven examples of metallic (sulfide) mining that had not polluted for at least 10 years after closure. The repeal of the “Prove it First” protections means the state government has put the burden of protecting Wisconsin waters from sulfide mining pollution on small, rural communities. These changes have weakened good, long-standing laws governing mining. Wisconsin’s mining laws had been on the books for decades and were developed with public interests and the mining industry at the table. The revised laws were written with mining interests at the keyboard, and the new laws limit public scrutiny of mining proposals. The new laws mean that mines will be built at great expense to Wisconsin’s environment. Sulfide mines are notorious polluters, as they produce sulfuric acid, among other toxins, as a byproduct. Sulfuric acid is produced when sulfide ores, which also contain metals like gold, copper and nickel, are dug up, react with air and water to form sulfuric acid. 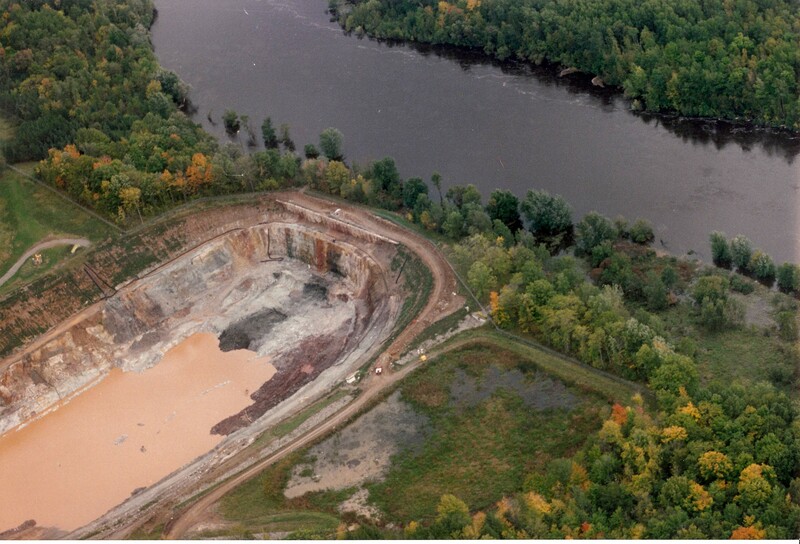 Toxic pollution from sulfide mine waste destroys habitat, kills aquatic life, and affects human health. The damage can continue for decades after a mine has been closed. People across Wisconsin are working together to raise awareness about the risks of mining to our waters, culturally significant lands, and the current economy in Wisconsin. Advocates have testified at hearings, contacted their legislators, written letters to the editor and passed local resolutions against mining. Unfortunately tribal lands and waters have been threatened by mining proposals in Wisconsin. Fortunately, tribal leaders have taken on a significant amount of work to protect their lands, water, culture, and way of life. We are grateful for the Bad River Band of Lake Superior Ojibway, Menominee Tribe of Wisconsin, Mole Lake Band of Lake Superior Chippewa and the members of the Great Lakes Inter-Tribal Council. We are honored to work to protect our waters along with you. River Alliance will continue to keep a close watch on potential mining proposals that threaten the waters of Wisconsin. Currently, we are focused on Aquila Resource’s Back 40 project in Michigan and the Wisconsin deposits they are interested in, Reef Deposit in Marathon County and Bend Deposit in Taylor County. 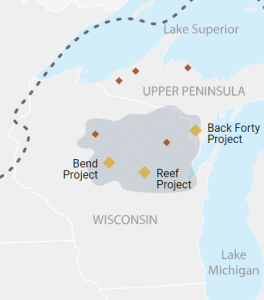 While the Back 40 Mine project isn’t actually in Wisconsin, if approved, it will without question impact the Menominee River—the native homeland of the Menominee Tribe of Wisconsin, and a river of ecological importance to Wisconsin’s population of lake sturgeon (approximately half of adult sturgeon in Lake Michigan spawn in the Menominee). Learn more about the proposed Back 40 Mine project and actions you can take on our Back 40 Mine page. Thank you to the thousands of people and the local, statewide and national groups who have raised their voices and given their time to this fight, it’s far from over and there’s much to be done. Get Involved & Take Action Today! YOU are part of this strategy and we invite you to sign up for our email communications and follow us on social media for updates and ways you can protect Wisconsin’s waters from toxic mining pollution.